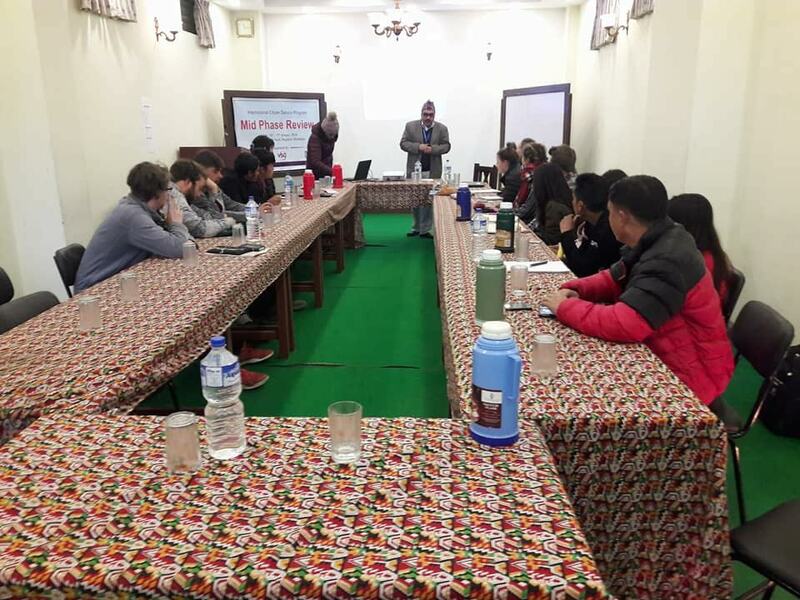 A mid phase review of ICS program was conducted in Nagarkot, Bhaktapur on 15-17 of January 2018. This program was implemented by Friends Service Council Nepal (FSCN) with the partnership of VSO since 1st November 2017 in ward no. 8 of Changunarayan municipality. In the program International as well as Nepali Action Learners actively took part in the different sessions. 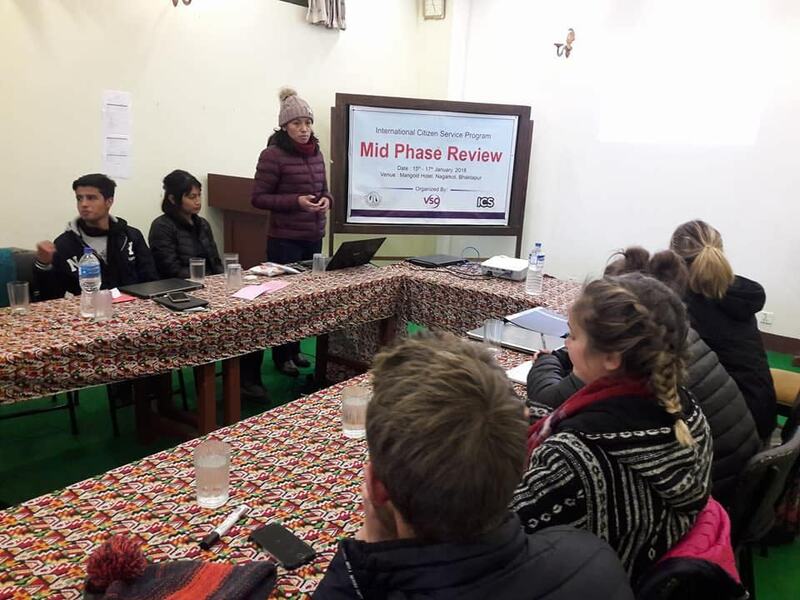 This review was facilitated by Mr. Surya Bahadur Thapa, Executive Chairperson of FSCN and Mrs. Shakti Gurung, Project Coordinator of PRAGATI project. Mr. Thapa dealt with the importance of volunteerism, history of FSCN, experience of FSCN with the partnership of VSO. Mrs. Gurung dealt with the different project implemented by FSCN with the focus on the consortium project PRAGATI through DCA, ADRA Nepal and VSO. During the program, ICS action learners shared the experience, knowledge and learning from the program till the date by directly participating in different communities, schools, health centers, women groups, child clubs and youth groups activities.